Palmerston North City Council is contemplating enacting a by law that would allow it to fine people begging on its streets. The proposal reminds me of the the famous saying by Anatole France that “[t]he law, in its majestic equality, forbids the rich and the poor alike to sleep under bridges, to beg in the streets, and to steal bread”. Because begging is a sure sign of poverty and to fine the poor for begging will only add further financial stress to already strained circumstances. The report to be considered at the Council’s Community Well Being Committee on August 1 has some chilling content. 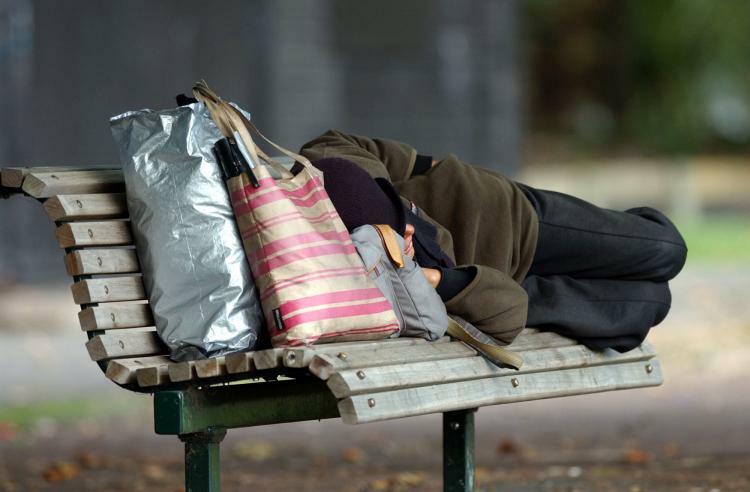 It notes that there has been a recent rise in the number of beggars being seen on Palmerston North’s streets. This is not surprising, unemployment has doubled over the past three years from 3.5 % of the work force to just under 7 %. There are currently 155,000 unemployed nation wide. Of course poverty is going to be that much more prominent. The officer preparing the report properly consulted with the beggars themselves. Some were homeless. Most were on benefits. All but one had mental health problems. Business owners were also consulted. They believe they are losing significant revenue because of the presence of the beggars. They also thought the sight of beggars was a poor look for the community especially in World Cup year. Obviously as far as they were concerned it would be better for the beggars to be out of sight if not out of mind. The report notes that prosecutions are expensive and high handed and require considerable resources. When canvassing options it suggests that the “problem” may be capable of social resolution. This suggestion is rational and humane but I fear will not carry the day against obvious prejudice. It will be interesting to see what the Council decides to do. It will hopefully not follow the lead of the former Auckland City Council. The John Banks Council enacted Bylaw No 20 – Public Places 2008 which included in the definition of “street trading” the “soliciting or collection of any subscription or donation”. In John Banks’ Auckland beggars needed to apply for a licence before they were permitted to beg. Someone found begging without a permit could be required to leave the area. Failure to do so would constitute an offence punishable a fine of up to $20,000. That particular piece of madness was the brainchild of Paul Goldsmith, National’s current candidate for the Epsom electorate. It is hoped that if Paul is elected to Parliament then he shows more compassion than he did to Auckland’s homeless. He seemed to be particularly upset that the homeless were making Auckland look messy, and he proposed changes to the New Zealand Bill of Rights so that police officers could pick people up and move them on. For as long as there has been a city here there have been rough sleepers. The problem is not huge. The latest count found 91 people sleeping rough within 3km of the Sky Tower – down from the 120 the year before. I hope Palmerston North do not do it. And as I am involved in the Auckland review of its by laws I will be raising the issue of whether it is right that the poor and unwell should be open to significant fines for sleeping under bridges and begging in the streets.